DEBATES in Parliament are supposed to be about the interests of those who put Members of Parliament there, not to hurl scandalous allegations at individuals in and out of Parliament. In this regard, there is another aspect of Prime Minister Manning’s parliamentary behaviour that needs noting. 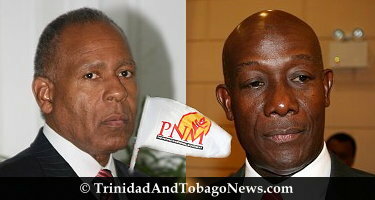 The 2008-2009 budget debate took a dramatic turn last night in Parliament, after a war of words erupted between Prime Minister Patrick Manning and Diego Martin-West MP Dr Keith Rowley whom Manning dismissed in April. On what basis can PM Manning justify spending an astronomical $503m (one percent of the 2009 budget that is equivalent to the sum for the construction of the Tobago power plant) to host the Summits of the Americas and the Commonwealth in 2009 if not to boost his already inflated ego? What diplomatic goodwill and political and economic benefits will accrue to the pauperized people of T&T from hosting these Conferences when we are burdened with a poverty rate of 27%? The poverty gap is widening and pensioners on fixed incomes are ketching their “nennen”.